The AccuTite is the latest in the Radio-Frequency Assisted Lipolysis (RFAL) family of technologies. It uses precision heating to target fat cells and cause skin contraction in specific areas such as the face, neck, bra-fat area, upper arms, inner thighs, knees and abdomen. This technology allows for precision tightening and fat removal without a scalpel. This non-surgical device is a “game changer” and is perfect for patients who are not quite ready for a face lift, but could use some tightening along the jowls and jaw line. Hard to target areas such as the bra-fat area can be targeted using this precision Radio Frequency device. Patients love the fact it is a minimally invasive procedure with little to no downtime. The AccuTite is revolutionizing in-office minimally invasive procedures. Hard to reach areas are now possible with pinpoint accuracy. Any areas with saggy skin or excess fat can be treated. Common areas for the face include the brows, periorbital region, nasolabial fold, lower face, and neck. On the body, common areas include the axilla, upper arms, abdomen etching, inner thighs, and knees. What is involved at a AccuTite consultation? 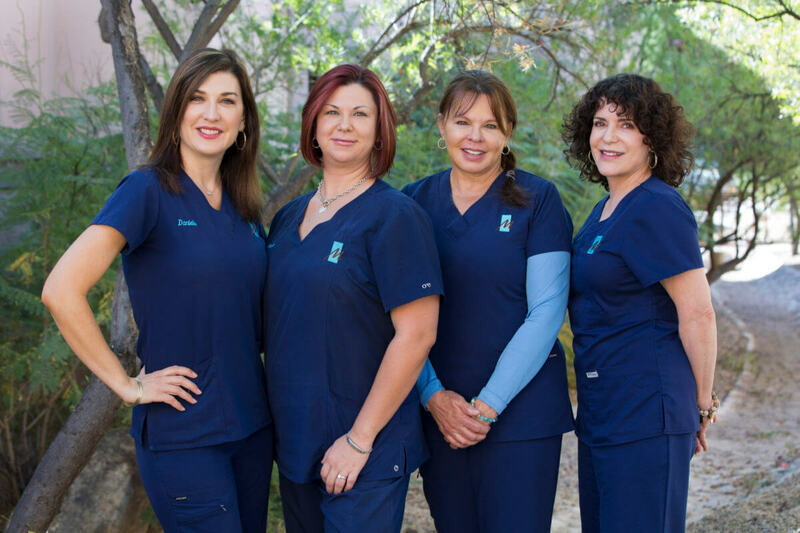 When you come in for your initial consultation, you will meet with Dr. Maloney. We will discuss your goals with you and examine you to determine if you are a good candidate for the procedure. He will discuss details of the procedure including how many treatments it may take to achieve your targeted results, show you before-and-after photos and answer any questions you may have. How do I prepare for a AccuTite treatment? Once you have met with Dr. Maloney and have chosen date for your AccuTite, you should plan for your care and recovery after the procedure. You will need to arrange a ride to and from the procedure as well as arrange for someone to stay with you for the first few hours. You should take one to two days off of work for this procedure depending on the type of work you perform. Most patients can be back to their normal activities within a couple of days. If you smoke, you must quit a minimum of three weeks before surgery. We suggest six to eight weeks, but three weeks is the minimum. Smokers heal more slowly and can have wound healing problems. If you take aspirin or any other medication that causes bleeding, you should stop taking it three weeks before your laser procedure. All medications, herbs, vitamins and dietary supplements you are taking should be carefully reviewed with Dr. Maloney prior to surgery. The day of the AccuTite procedure you will arrive one hour before your scheduled procedure time. Please take your prescribed medication when you get to the office. One of our laser technicians will apply a topical numbing medication to your face. You will be waiting here with the numbing medication to take affect for about an hour, so please bring something to read, knit, etc. You will need someone to drive you home from your procedure because of the medications you will be taking. You will be here in our office for about 2 hours for your AccuTite procedure. This includes the one hour to numb the skin and the procedure itself. When you arrive at the office, a topical numbing medication will be applied to your face. About an hour later, your face will be cleaned by one of our laser technicians. Dr. Maloney will then inject the numbing medication for your comfort. The procedure is performed by making a pinpoint incision to allow for the AccuTite tip to be inserted. Once in the correct location, Dr. Maloney will activate the Radio Frequency heat to the desired area. Once the procedure is complete, you will be given simple instructions to follow based on the area of treatment. What should I expect after a AccuTite procedure? AccuTite results can be seen immediately, with best results noticeable after 6 weeks and continuing up to 12 months. Most patients are able to return to their normal routine in a few days. You may have some swelling, bruising or areas of tenderness. What are the benefits of AccuTite? AccuTite is a revolutionary minimally invasive procedure that allows us to target specific areas for fat reduction and for contouring of multiple areas of the face or body. This technology allows us to tighten skin and sculpt face without surgery and with minimal downtime. What are the risks of AccuTite? AccuTite has numerous safeguards built into the technology to ensure uniform and gentle heating that makes the procedure comfortable and effective. AccuTite, like all procedures does have risks and it is your personal decision whether benefits outweigh the risks. Common risks include redness or swelling, hyperpigmentation, hypopigmentation, uneven skin tone/texture and the need for additional procedures. Most of these are temporary. There are also more uncommon, complicated risks, such as scaring or burning of the skin or nerve damage. When you come in for your consultation, Dr. Maloney will discuss the risks with you that are specific to your area of treatment.